The comfort of our Twisted X diving moccasins is unsurpassed. The outsole is designed for maximum flexibility, our patent pending one-piece insole with injected composite shank provides stability , and the super comfortable footbed is also moisture wicking and machine washable! 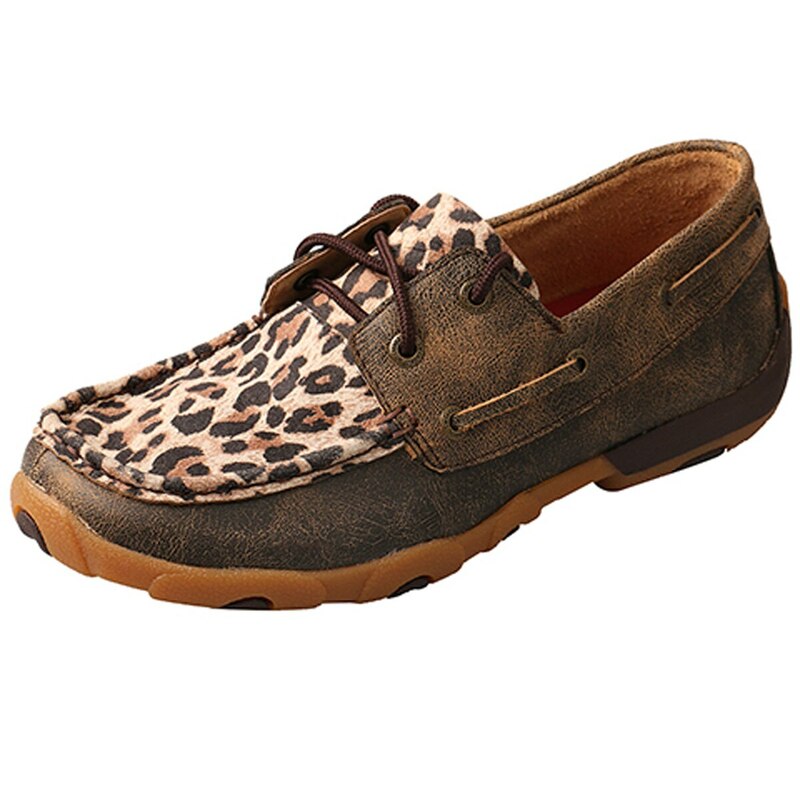 The Twisted X Women’s Driving Moccasins – Distressed/Leopard mixes the leopard print top with the distressed dark brown leather for a super cute contrast. • Twisted X comfort with special insole and footbed.